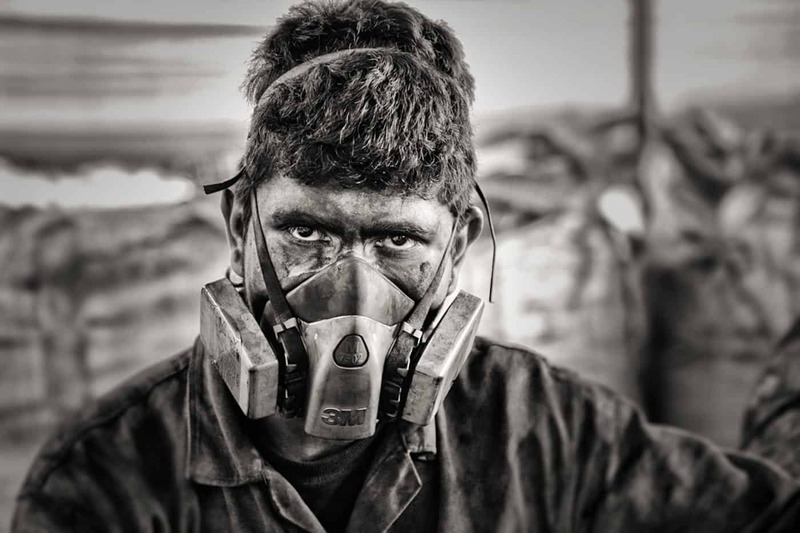 To protect the coal workers from getting the coal miners lung (or black lung disease) (coal workers pneumoconiosis / coal dust disease) they wear protecting masks. This photo was taken Feb 2012 in Sogamoso, Colombia. Colombia has the 5th-largest coal production in the world (90.5 million tonnes). Coal has been Colombia’s second-largest export since 2001.